Twitter was mentioned in 26 of 52 national TV commercials — that’s 50 percent of the spots that aired during CBS’ game coverage. Facebook was mentioned in only four of those commercials — about eight percent. Google+, which is reportedly the No. 2 social network in the world, wasn’t mentioned at all. At first blush, it would seem that Twitter might be gaining on Facebook in popularity. However, I think another reality is at play here. 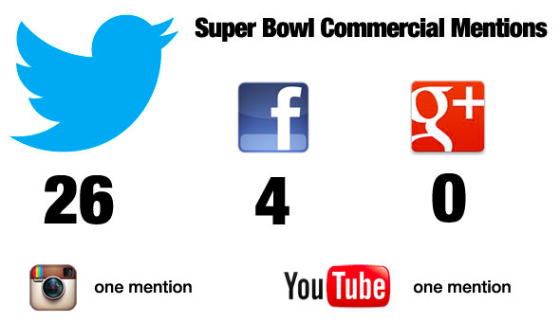 Twitter is really a broadcast medium – ideally suited to quick 30 second commercials of the Superbowl variety. Plus, hashtags are easy for advertisers tto include in a commercial and easy for readers to reference after the fact. Facebook is more of a relationship medium – better suited to conversations among people and without the relative ease of using hashtags. But this is interesting just the same. Marketing experts and wannabees will be debating over this for months. Will Facebook start supporting hashtags in some interesting way? Much has been said recently (here, here and here, for example) about whether Facebook can overtake Google as the market leader in online adversting. I am certainly not an advertising guru, but from the online consumer cheap seats I occupy, some things seem pretty clear to me. When I visit Google – I am searching for something. I type in a keyword or two and expect results that are relevant to my search. Both the regular search results and the ads presented to me are often helpful – directly in line with what I am seeking. The direct connection between my current frame of mind and ads presented to me is very obvious. On the other hand, when I visit Facebook, I am seeking to connect with people I know, hoping to see interesting content they have posted and offering content and commentary of my own. Searching for items I may be willing to buy is usually the farthest thing from my mind. Facebook does a terrible job of assessing my current context and interests before presenting ads to me. Google ads are like various brands of breakfast cereal that are presented to me when I purposely visit the cereal aisle in a grocery store. Because I have an active intent to buy cereal, the Google ads, like cereal choices, are usually very relevant to my search and a natural part of my expected user experience. Just like KMart will never get rich from my paltry purchases from their checkout aisles, Facebook will never get rich from me responding to Facebook ads in their current form. Facebook must somehow do a much, much better job of understanding my current frame of mind and presenting relevant ads, or they will wither and die as an advertising medium. What is more … if Facebook doesn’t fix the irrelevant, obnoxious way they present ads to me, I might just get fed up and quit visiting Facebook, much like I rarely visit KMart any more. Earlier this week, just days before Facebook’s IPO would launch, GM announced that it was pulling its advertising campaigns from Facebook. I was intrigued to learn today that GM is also dropping its Superbowl ads. I’m not an advertising expert by any means, but I applaud GM for not just following the herd. 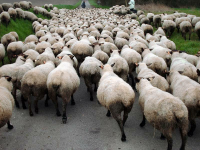 My post yesterday implied that too many of us, particularly in our use of social media, are just like lemmings, mindlessly following each other off the proverbial cliff. It is refreshing to see a company, particularly one as big and stodgy as GM, defy the herd mentality and chart a separate course. 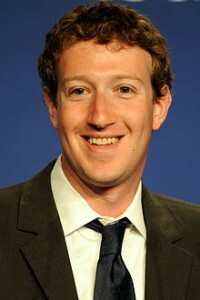 Fellow Facebook Users: We are the product Zuckerberg sells. [Facebook and Google] are essentially advertising channels, whose real customers are not those of us who visit their sites, but the advertisers who pay them money. That is where Intent comes in. The most valuable commodity Google and Facebook can sell to their advertising customers is the Intent of the people who visit their sites – the Intent to explore, to examine, and ultimately, to buy. The better either company can be at determining the Intent of their users, the better they are prepared to rake in the bucks from companies who advertise with them. … The truth is, we have no interest in protecting your privacy, and if you still believe that we do, then you are stupider than we thought, and believe me, we already thought you were pretty stupid. Think about it. The only way our business works is if we can track what you do and sell that information to advertisers. Did you honestly not realize that? You are not our customer. You are the product that we sell. For us to say we’re going to protect you is like the poultry industry promising to create more humane living conditions for chickens. Sure, they say that. But you know they don’t mean it. A fundamental premise undergirding the Identity Map is that each person is unique. This unique “Core Identity” can be identified or described by attributes categorized into Names, Characteristics, Relationships, Roles, Location, Experience, Knowledge and Reputation. Each attribute adds to the fundamental uniqueness of each individual. This concept began to crystallize in my mind as I was listening to a podcast by Robert Scoble, referenced in his blog post, “The game of all games: content and context (why Mark Zuckerberg, Marc Benioff, and Larry Page are carving up the social world).” Thanks to Johannes Ernst for sharing this link on Facebook. 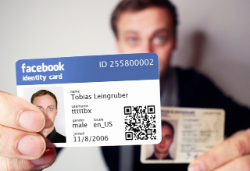 The basic premise of Robert’s post and podcast is that Google and Facebook are fighting to become the premier Identity providers in the world – but not primarily for authentication and authorization services, as we Identity Management professionals commonly think of Identity – but as a means to addictively capture the hearts and minds of the people in the world in order to sell advertising. After all, both companies are essentially advertising channels, whose real customers are not those of us who visit their sites, but the advertisers who pay them money. Intent, therefore, is a critical component, perhaps the most important component, of Identity, from the perspective of Google and Facebook. But Intent is rarely overtly declared by a user. Intent is predicted, based on a relentless, real time examination of all other aspects of a person’s identity – their Names, Characteristics, Relationships, Roles, Location, Experience, Knowledge and Reputation. All of these are more historical in nature – attributes that may be accumulated and studied in a more historical context. But Intent is more real time. Intent is what a person wants to do right now or in the near future. 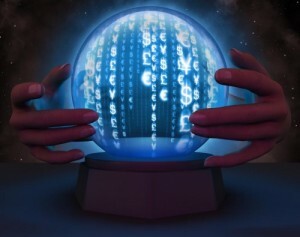 It is more a prediction of things to come than what happened in the past. So how do companies like Google and Facebook determine Intent? More and more, it is by capturing and analyzing how individuals interact with the online world. The “verbs” of online interaction are particularly telling: search, post, comment, share, like, tag, read, watch, encircle, listen, play, visit. If Google or Facebook can capture how you do all those things, they can infer your intent and deliver to you the content and advertising that are most aligned with your current intent. That will enable their advertising revenue to increase (which is their real motive). That is why both Google and Facebook are aggressively rolling out new features along the lines of those verbs – the more they know about your online actions (evidenced by how you use those verbs), the better able they are to predict your Intent, and consequently enable advertisers to capture your money. 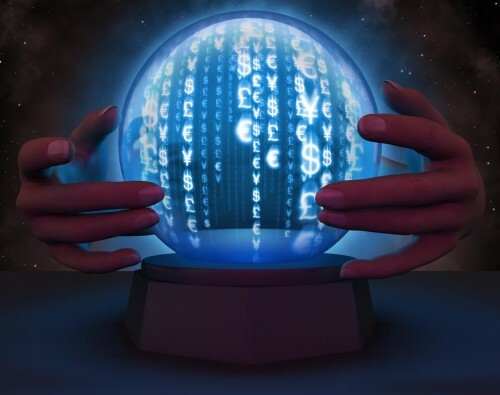 Predicting the future is never easy. But that is exactly what Google and Facebook are trying to do – by predicting our Intent, based on how we interact with them. Facebook and Google covet your eyeballs, your fingertips and your pocketbooks, and intend (pun intended) to capture all of them. My advice: Be aware! Keep your eyes wide open, your fingertips constrained, and your wallet firmly in your pocket. De-Friending or “Culling the Herd”? Back on the small Idaho dairy farm where I grew up, “Culling the Herd” meant sending cows that didn’t give much milk to the slaughterhouse to make way for more productive bovine. I hadn’t heard the term referring to getting rid of Facebook friends until I read the “Pearls before Swine” comic strip today. A bit crass, but sort of descriptive, don’t you think? After posting this bit of irony, I suppose I’d better not de-friend anyone unless there is a darn good reason, don’t you think?